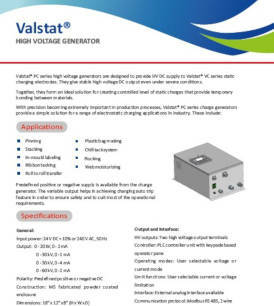 Valstat® PC series electrostatic charging generators are designed to be used with Valstat® VC series electrostatic charging systems to create a temporary bond of attraction between materials for industrial applications. 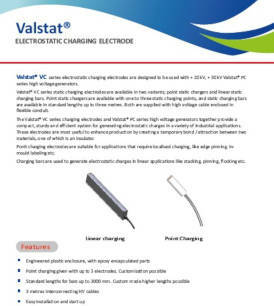 Valstat® VC linear static charging electrodes are available in two variants; point static chargers and linear static charging bars. 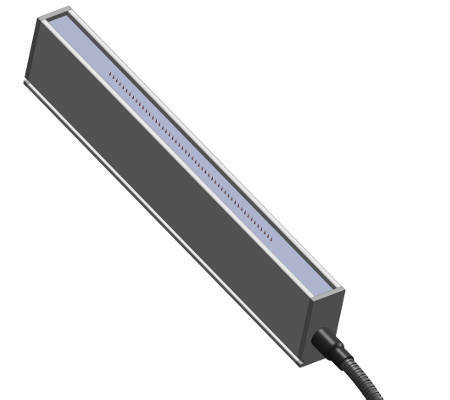 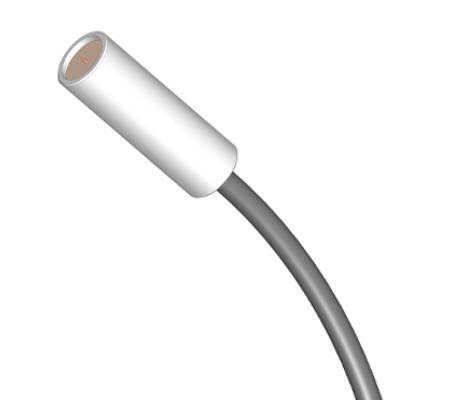 Point charging electrodes are suitable for localised charging, edge pinning, in mould labelling applications while linear charging bars are used in stacking, pinning applications. 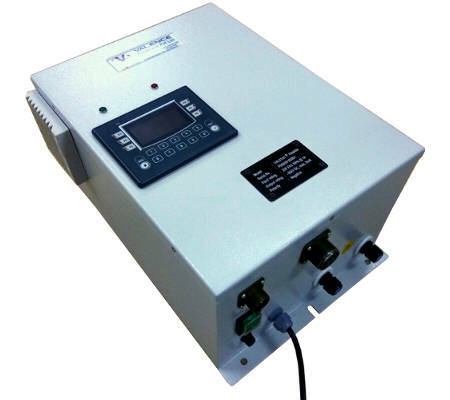 With precision becoming a priority than a luxury in production processes, electrostatic charging systems, a combination of series charging electrodes and series high voltage generators, provide a simple solution for a range of industrial applications.